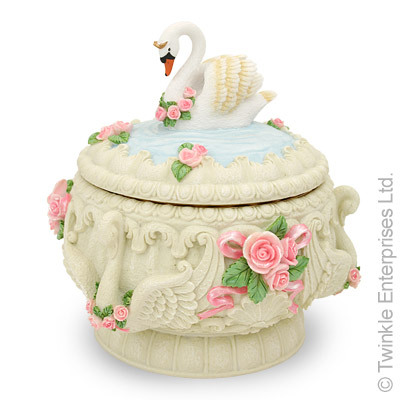 This detailed music box features swans and roses. When lid is open, a little ballerina dances to the tune of Swan Lake, "TWINKLE SPECIAL NOW 20% Off! (Regular $29.50)"
Dimension: H: 5" x D:4.5"